Our goal is always to build trust through our high level of service and industry standard, and ensure our clients love the results. 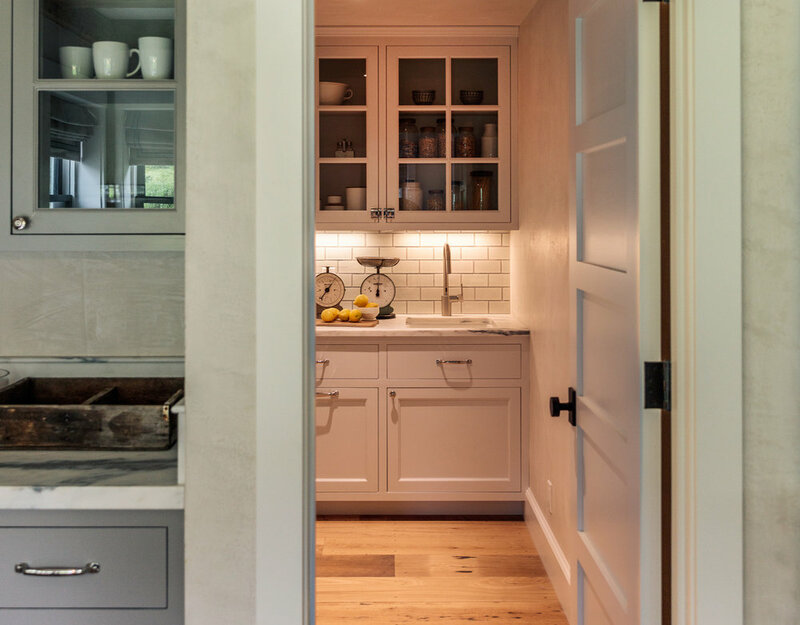 Completed in the summer of 2018, this 2-year project began as a kitchen remodel and partial furnishings design. But the scope changed dramatically in an equally dramatic fashion, when the existing structure burned down. The client and our firm were then left to decide how to move forward. We decided to take full advantage of the opportunity and completely reimagine their home. So we started from the ground up, working with our experienced team to create the ultimate getaway for the client’s busy family. JCI brought in our architecture and contracting teams to determine the best size, layout and structural details for the home. The overall goal was to create a modern rusticity, marrying the warmth of the region’s historic homes with clean lines and simplistic ease. 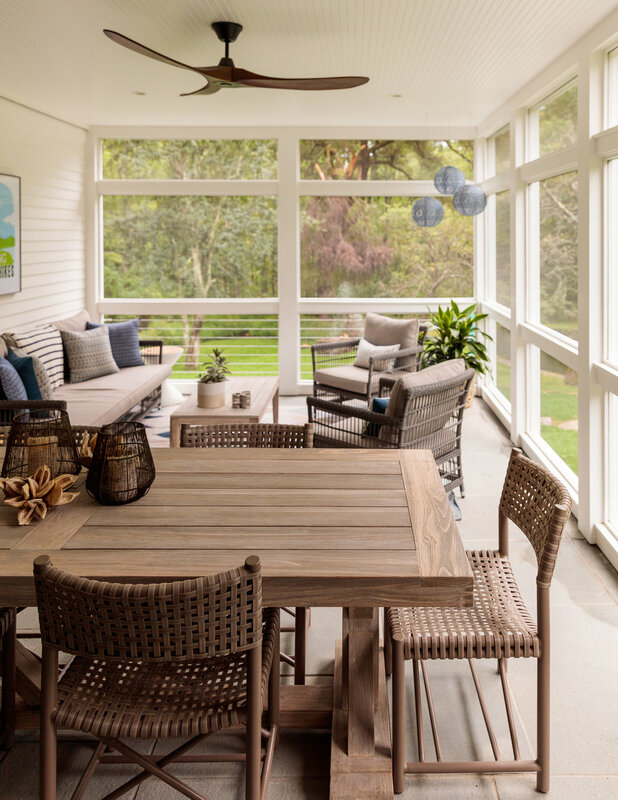 Our firm served as the project managers for the full construction process, choosing every fixture, finish, color, placement, furnishing, and finishing touch to the home’s expansive spaces. The home was ultimately planned to include 4 bedrooms, 4 bathrooms, 2 large open concept living areas, a den, ample custom storage, a comfortable sitting porch, and a consistent focus on highlighting the beautiful grounds the home is surrounded by. As the home’s construction was coming together we began curating what would fill it. In addition to the injection of functionality with custom cabinetry in the library, laundry, and closets, JCI sourced custom furnishings and window treatments for each room in the home. As with all of our client projects, JCI oversaw every step of the process - from the conceptualization of the spaces, to the ordering of all products, to the receiving, delivery, installation of each element and final styling. 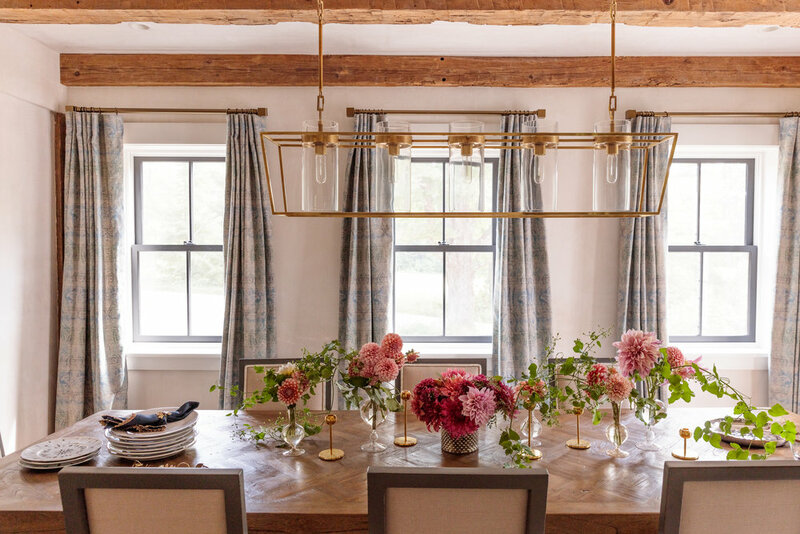 The result is a stunning slice of Berkshire living, from every expansive view and intimate moment found within the home. Our team strives to cultivate long-lasting relationships through our keen focus on communication and details. We are used to working with busy families from a distance on their homes. We streamline the process for our clients by serving as the single contact point for all their design needs. This experience was no different. We’ve gone on to complete another project with our client, including a full renovation and custom furnishing of their primary home in New Jersey.